03-03-15 LAWRENCE CASSERLEY + MARTIN HACKETT ELECTRONIC DUO, VIV CORRINGHAM (VOICE), + OXFORD IMPROVISERS | who's that knocking...? The next concert in Ox.Improvisers’ monthly series at the Oxford Old Fire Station is enticing: first performance as a duo of two masters of electronic music: Martin Hackett on analogue synthesizer and Lawrence Casserley on live processing. Also on the bill: the extraordinary vocalist Viv Corringham with members of Oxford Improvisers Orchestra. Renowned practitioners from opposite poles of electronic improvisation in their first outing as a duo. He is best known for his work in free improvised music, and has devised a special computer processing instrument for this work. He has worked with many of the finest improvisers, and he is a key member of the Evan Parker Electro-Acoustic Ensemble. Casserley’s instrumental approach to live computer sound processing is the hallmark of his work; the Signal Processing Instrument allows him to use physical gestures to control the processing and to direct the morphology of the sounds. Martin Hackett is a member of Oxford Improvisers and of the Muzzix collective in Lille, France. The focus of his experimental approach to electronic improvisation has been his Korg MS10 synthesiser. Ethno-cyberpunk diva. 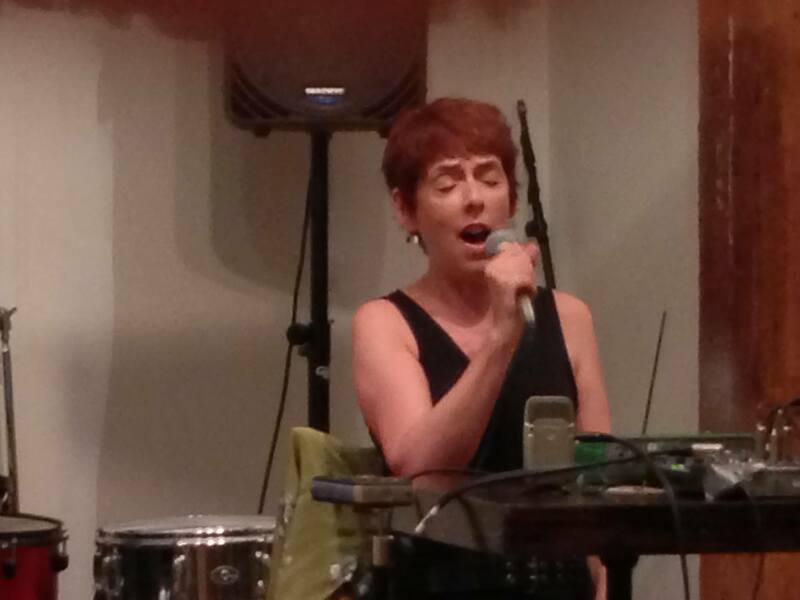 (Her) voice is a thing of wonder, ranging from lilting folkiness to speaking-in-tongues wildness.
. Corringham is an experienced and skilful improviser, capable of marshalling all sorts of sounds and vocalisations, from the melodious to the abrasive.